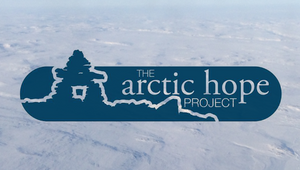 The purpose of the Arctic Hope Project is to inspire hope and facilitate personal change in Inuit youth and the community as a whole, to develop Inuit youth leaders by working in partnership with the community stakeholders, to provide cultural counselling, and to provide dreaming workshops to strengthen their emotional and mental resilience. AHP is an 5-day intensive course, with an extensive community stakeholder follow-up phase. The 5-day intensive course outline includes: leadership development, cultural counselling, roundtable discussions and a ‘Dreaming Workshop’. Reepa Evic-Carleton, Co-founder of the Mamisarvik Healing Center, starts off the course by facilitating three days of cultural counselling with the Inuit youth, followed by roundtable discussions and a ‘Dreaming Workshop’ with Tagak Curley. The round table discussions are directed at discovering collaborative and attainable goals for making the target community a life-giving and positive community. The youth will develop an action plan of three goals and will work under the supervision of the community stakeholders. The 5-day course will conclude with Tagak Curley, who will engage the youth participants in a workshop about the importance of having big dreams for their lives, and demonstrate that it is possible to dream big in small communities.